Thanks to Robert Atkins low-carb, high-fat (LCHF) diets such as Paleo and Keto have become very popular, but whats best for health and or weight loss. The Paleo and Keto Diets are similar in some ways, but the variations in principles make them unique from one another often with different outcomes. Paleo vs Keto “Two low-carb diets, two distinct ways of thinking”. The difference: It’s important to remember that the Ketogenic Diet was developed as a tool for disease control, not weight loss. Weight loss on Keto was incidental. The Keto Diet eventuated as a dietary intervention for conditions like epilepsy. More recently it has been shown to have promising results reversing insulin resistance and type 2 diabetes. There are also studies being conducted on Alzheimers Disease. The objective of Keto is to force the body into a state of ketosis. With a Ketogenic Diet plan, you reach ketosis by drastically limiting carbohydrate intake compared to modern high carb/sugar foods while significantly increasing fat intake. The Keto Diet prescribes that dieters eat 70% of their calories in fat, 5% of their calories from carbohydrate and 25% from protein (Be aware that too much protein is bad for Ketosis). That’s lots of fat. Paleo doesn’t do macros like that. For example; A Keto meal may include a moderate portion of beef, some cruciferous vegetables, and a significant amount of fat, typically oil, cream or butter. It’s a true Low-Carb, High-Fat Diet (LCHF Diet). What is the Paleo Diet (Paleolithic Diet)? The Paleo Diet concentrates more on eating meat under the belief that ancient cave dwellers had no access to grain and processed foods, thus had no other option than to consume a diet primarily composed of protein and fat. Practitioners of Paleo focus on getting nutrition from animal products that are low in carbs and high in protein. Paleo dieters avoid foods that are processed such as dairy. Paleo experts believe that eliminating modern day inventions such as processed food should eliminate or reduce many present day ailments. In other words, they say that Paleo makes you healthier because we haven’t evolved to eat modern day rubbish (sounds fair). The Paleo Diet concentrates on manipulating the three macronutrients, which can be protein, carbs and fat for optimal health. The Paleo Diet is much more about the food options. On a Paleo Diet, you remove milk, grains and foods that are processed but balance the macro nutrients any way you desire. Where as Keto sticks to the calculated macro nutrients to achieve ketosis. (that’s the simplest way I can put it without writing a novel on it). You can use our Keto Calculator to check your macro nutrients if you’re interested. The most common reason a lot of people begin either of these diets (or most diets) is more often than not for weight loss. Which isn’t the original intention of either, Paleo or Keto diets. Both Keto and Paleo are a low-carb way of eating. Both Keto and Paleo encourage weight loss and make it much easier to sustain compared to the severe calorie restricted food pyramid diets. Neither Keto or Paleo should leave you hungry if you plan them properly. There isn’t any point in getting into to the argument of Keto vs Paleo here. However, it’s easy to pick a fight with someone’s diet that doesn’t fit with what you believe. I suggest for your sanity, and everyone else’s that you avoid doing that. The majority of people who swear by Paleo won’t ever be convinced of the benefits of Keto, even if presented with scientific proof. Likewise, neither will Keto Diet die hards be swayed by any argument or evidence submitted by Paleo lovers. What should you do, Paleo or Keto? Obviously I and everyone else at My “Keto” Kitchen does a Ketogenic Diet, though but I do snap up some Paleo treats from time to time if they fit my macros. But you should educate yourself and read everything you can, by the experts in both the fields of the Keto Diet and the Paleo Diet. “Whatever you do (in anything, not just diet) find out from the most qualified and intelligent people in the field before taking advice from and exploring websites, forums, social media or those at the gym”. For the Keto Diet read, “The Art and Science of Low Carbohydrate Living“. By Doctors Jeff Volek and Stephen Phinney. And for Paleo read “The Paleo Diet“ by Dr Loren Cordain. If you don’t want to buy the books get a Kindle Unlimited 30-Day Free Trial and read them on your device for free. 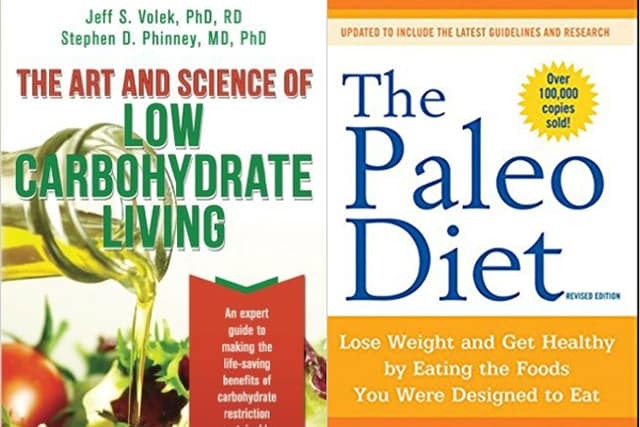 If you’re still undecided after reading both of those books, you will at least be well read on both diets. If you like a bit of from both sides of the Keto vs Paleo argument, you might want to start a new diet and call it “Keleo” or may be not. Keto Salad Recipes – Very Healthy, Low Carb for Summer, Winter Anytime! 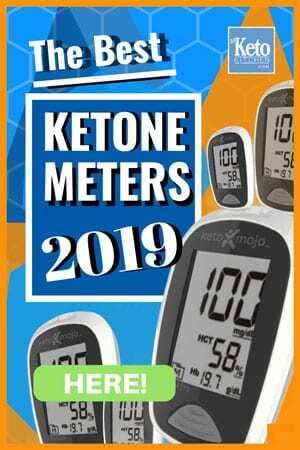 – How long does it take to get into ketosis? Join our mailing list to receive our latest Recipes to your inbox.